If you can not boot your Windows operating system, you can start your PC using AOMEI bootable media on CD/DVD, or USB stick -- a bootable, lightweight version of Windows/Linux and AOMEI Backupper -- to restore your backup image.... The WinPE solution in this how to will create a .wim file of the system you are capturing including programs, permissions, and profiles. This solution can be used on Windows XP, Vista and Windows 7. 21/06/2013 · 1) Install the WAIK 3.0 package on a remote system NOTE: It is not recommended to have the ADK and WAIK installed on the same system. 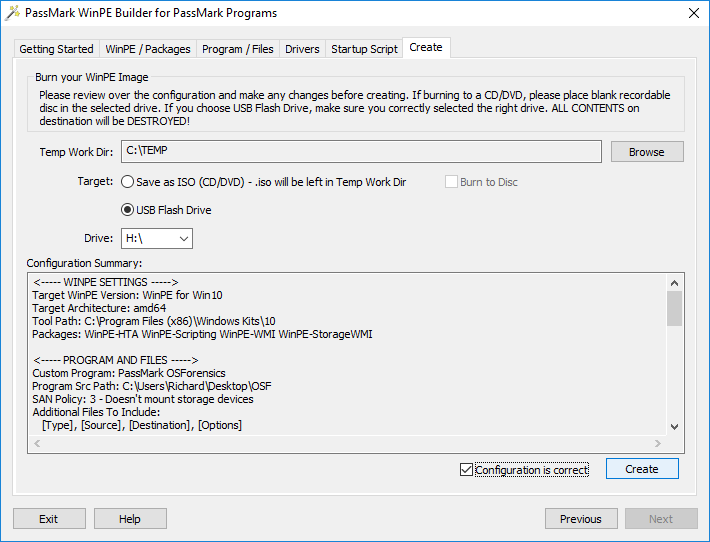 2) Install the WAIK 3.1 Supplement update package 3) To install the supplemental update open a command prompt and perform the following command. NOTE: 1131 Files should be...... I tried Windows PE 3.0 bootable USB drive on some brand-new Lenovo W510 laptops. After boot into Windows PE, and run List Disk in Diskpart, it only shows the build-in hard disk, not any USB drives plugged in so I can access images saved on USB drives. Earlier this afternoon I got a question in my YouTube channel, where a fellow deployment geek wanted to know if it was possible to create a WinPE image that had support for both x86 and x64 boot images.... I tried Windows PE 3.0 bootable USB drive on some brand-new Lenovo W510 laptops. After boot into Windows PE, and run List Disk in Diskpart, it only shows the build-in hard disk, not any USB drives plugged in so I can access images saved on USB drives. Here is a quick list of commands to create a basic WinPE bootable ISO image to use for capturing images of computers using imagex. First of all make sue that you have downloaded and installed the Windows AIK (Automated Installation Kit) on your computer which can be found here. After you add drivers or other customizations to Windows PE, see WinPE: Optimize and shrink the image to help reduce the boot time. Step 3: Create bootable media Now that you now have a set of working files, you can use MakeWinPEMedia to build bootable WinPE media. 25/06/2012 · Hello, I am having trouble creating a WinPE wim with ImageX packaged with it. The scenario is this: we plan to capture images of every PC we have out on a production line, so we are not using sysprep but rather using ImageX.